Harris played for St. Peters FC as a youngster, captaining them to the SKNFA Premier League Finals, and became the first player from St. Kitts to sign with a Spanish club when he signed in Spain with Cádiz in 2004-05. In 2006, he became the first St. Kitts player to sign withMajor League Soccer. He signed with Salt Lake and scored 4 goals and recorded 1 assist in 12 starts. In December 2007, Harris was traded to Chivas USA for a third-round pick in the 2008 SuperDraft. After a season and a half with Chivas USA, the Goats traded Harris in July 2009 to FC Dallas in exchange for Marcelo Saragosa. Harris ended his Chivas USA career with 42 appearances, 5 goals, and 7 assists. On September 12, 2009, in a match against Los Angeles Galaxy, Harris scored his first goal with FC Dallas off a Dax McCarty cross. He went on to score another goal vs Seattle finishing the season with two goals and five assists for FC Dallas and four goals and seven assists overall for the 2009 MLS season. Harris was a key player for Dallas in 2010 scoring four goals during the season and helping the club reach its first MLS Cup final. 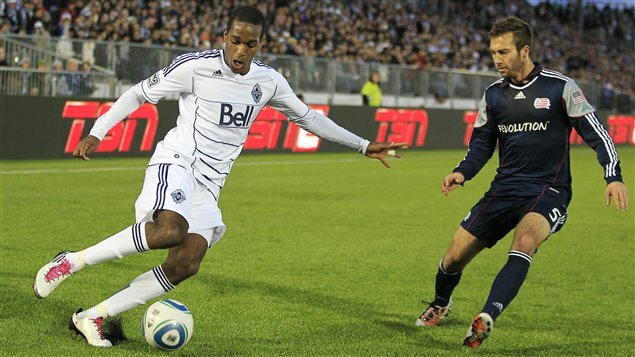 He was selected by the Vancouver Whitecaps FC in the 2011 MLS Expansion Draft. Harris suffered an injury and missed most of the 2011 season. He stayed with Vancouver throughout the 2012 season before being traded to Colorado Rapids in December 2012 in exchange for an international roster spot. After one season in Colorado Harris was traded to San Jose Earthquakes in January 2014 in exchange for Marvin Chávez. Harris stayed one season in San Jose before entering the 2014 MLS Re-Entry Draft in December 2014. He was selected in stage two of the draft by FC Dallas. During his second stint in Dallas, head coach Oscar Pareja mostly used Harris as a right fullback.